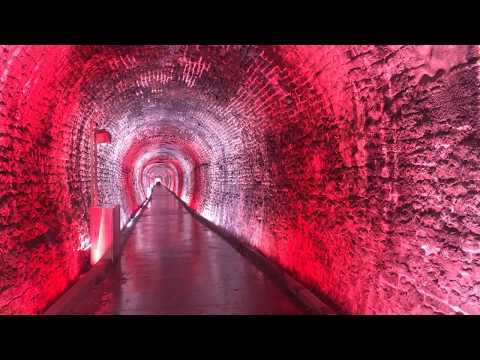 Historical Landmark - Revived with Light! 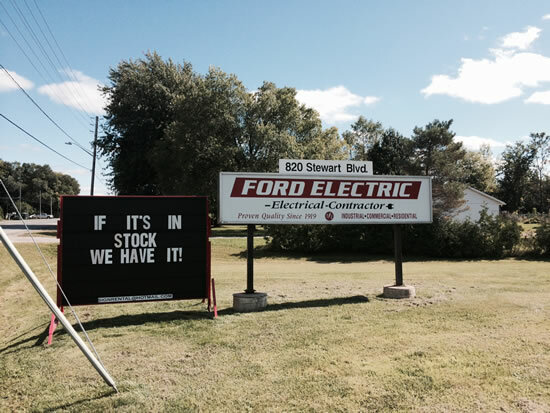 Find out why Ford Electric has been the top choice for over 98 years! 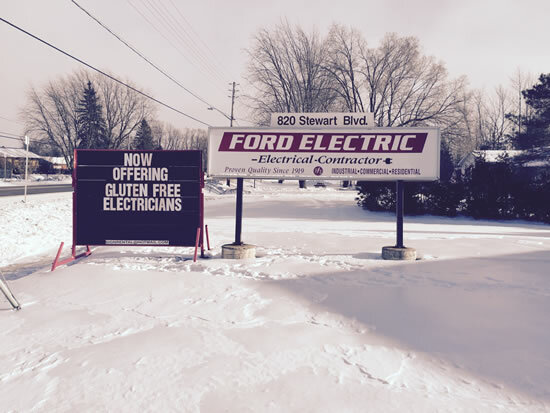 Ford Electric is the answer to all your residential wiring needs. 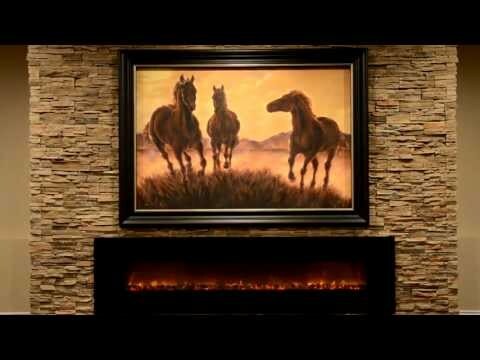 Whether you are building a new home or renovating your existing home. 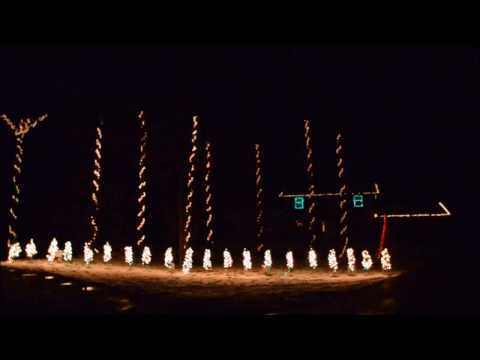 Many different solutions to your stand-by power needs. 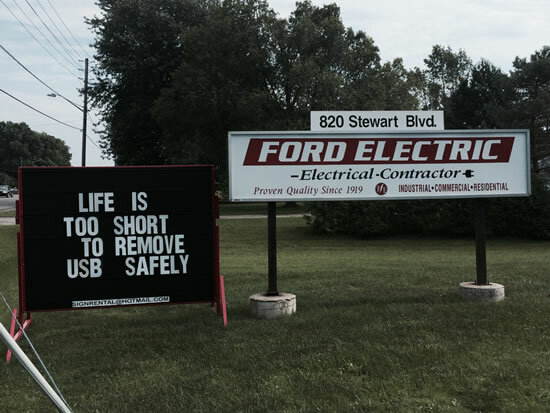 Ford Electric always puts quality as number one. 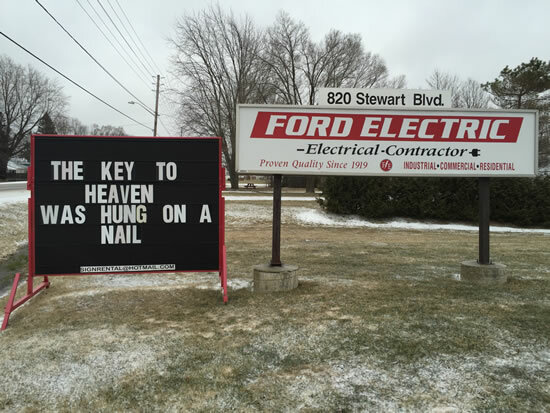 All of our employees are hand-picked to be the best at what they do. 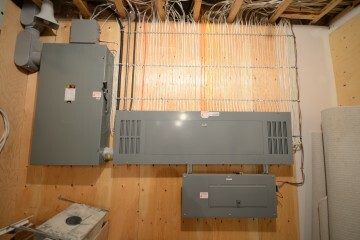 All our projects meet and exceed the standards set out by the Electrical Safety Authority and every home we go into we treat like our own. 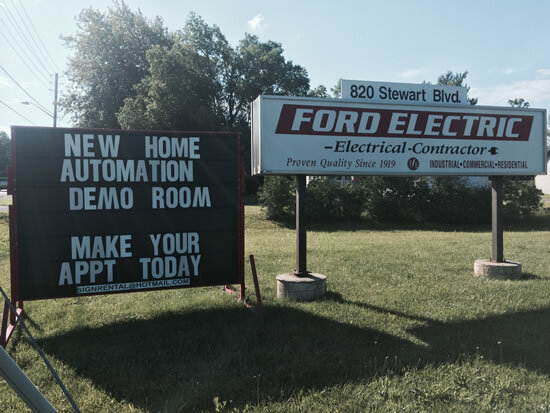 All of our employees are certified and licensed through the Ontario College of Trades and must meet the quality standards set by Ford Electric. 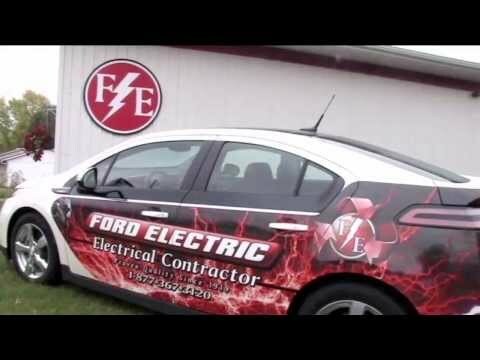 You will not find an Electrical Contractor more passionate about their work than Ford Electric. Every product we sell, we stand behind. Every project we complete we insist on perfection. 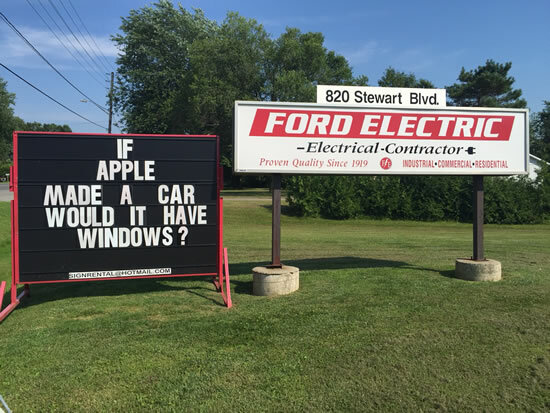 Ford Electric always plans for the future with every build and design so that there is never a need to redo, only to move forward. For us, honesty is the only policy and we strive to complete all projects with integrity, not just with our clients, but also our suppliers. 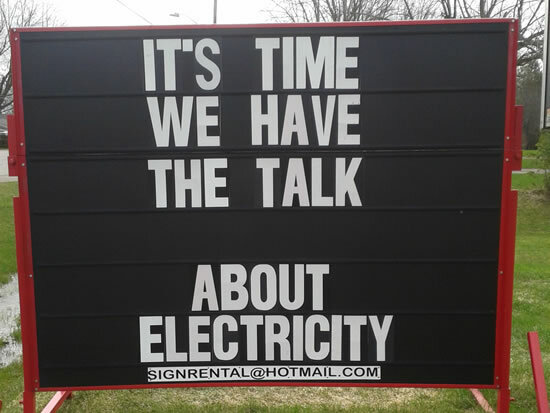 With hundreds of thousands of successful projects under our belt, we are one of the most trusted electrical contractors in Ontario. 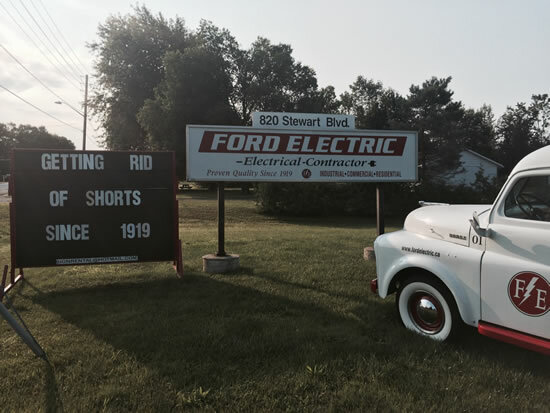 Ford Electric has been changing with the times since 1919. We insist on the best products and services for our customers. We commit ourselves to complete all projects within the timeline set with our clients. We use the best of technology and tools to ensure that all jobs are done quickly but also giving attention to details and ensuring everything is done correctly. 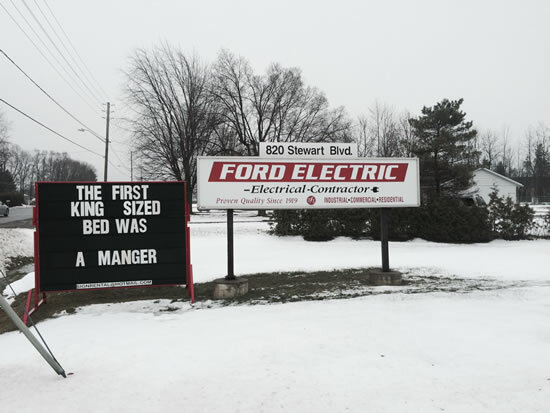 Ford Electric traces its roots back to early 1919. 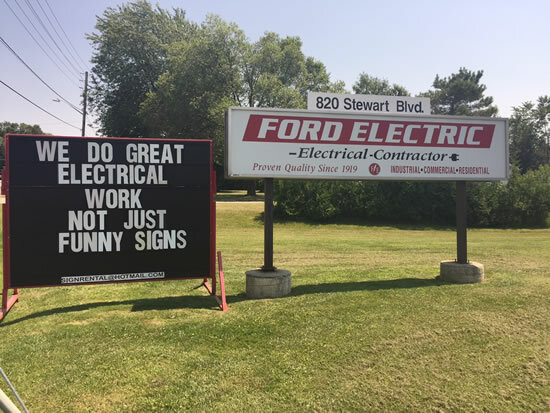 With hundreds of thousands of successful projects under our belt, we can proudly say that we are one of the most trusted electrical contracting companies in Ontario. 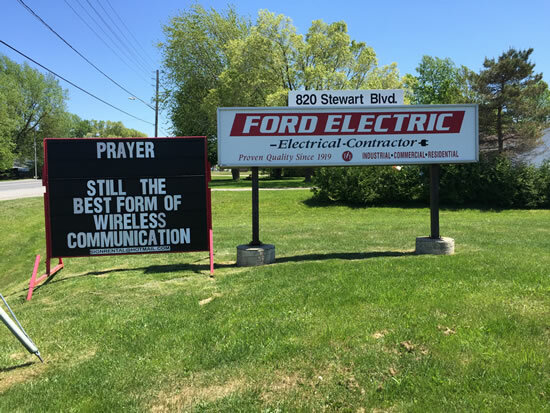 For more than 97 years, Ford Electric has offered a wide range of electrical solutions in Eastern Ontario. 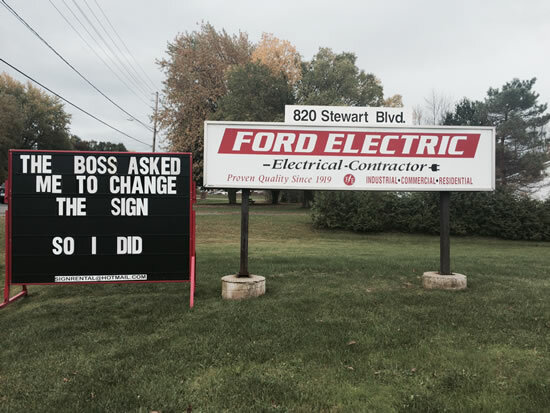 Ford Electric has always been extremely professional at our site. 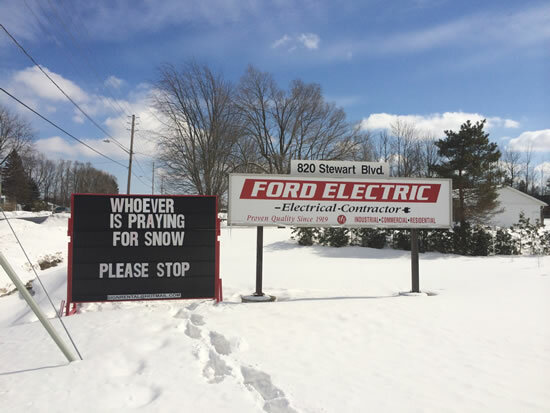 Our facility requires quick response time when things are down and Ford Electric is always there to help. 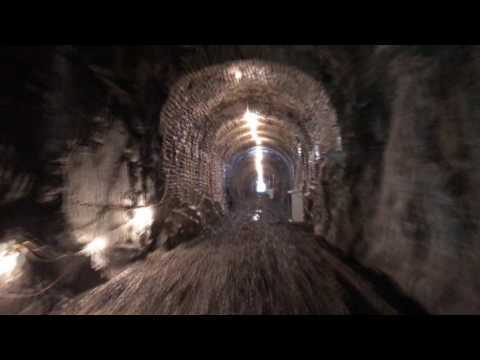 From large projects to small service calls they have always been able to handle anything that we need. 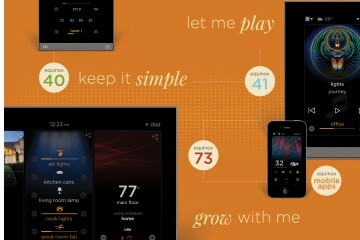 David from Ford Electric designed my entire home automation system at my new home away from home. 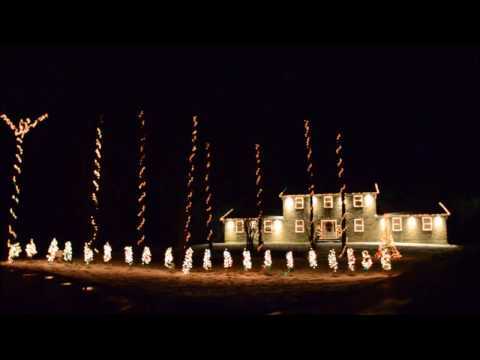 It is so great that when I head back to the city I just press one “goodbye” button and I know that all my lights are off, my heat is turned down and all my electronics are shut off. I really love the quality of my new switches and how well everything is laser engraved. 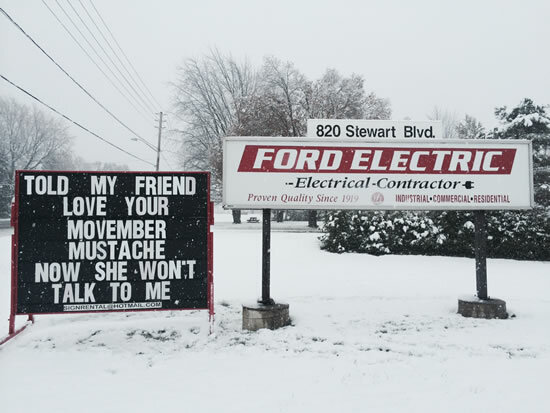 Ford Electric is my go-to number to call whenever I have an electrical issue or if I’m looking to upgrade any of the lighting at our properties. Dave and the guys are always there for emergencies and are eager to come up with cost effective measures for anything we might need. 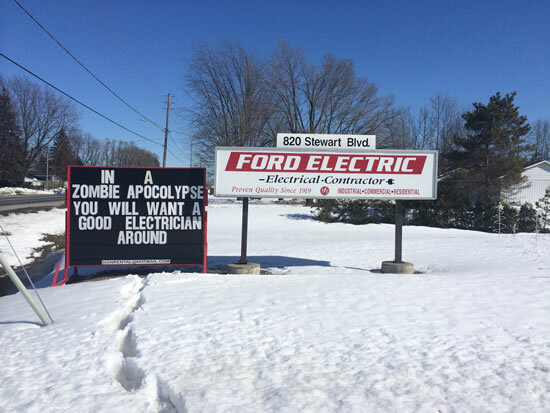 Ford Electric has been providing quality electrical work in Eastern Ontario since 1919. 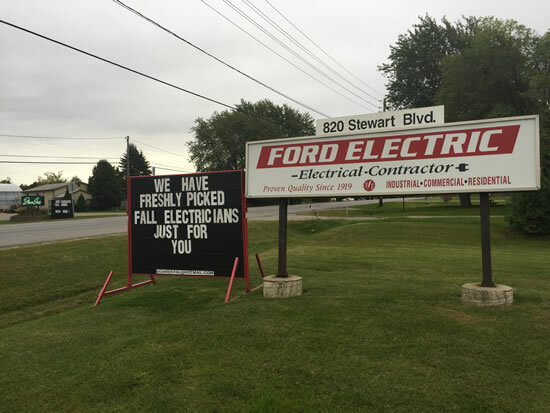 Stop by today and meet the HOTTEST electricians around.